There may be more than a few people now asking why Vincent Cable did not bother running for the Liberal Democrat leadership. At the time his decision not to run seemed so sensible. At 64, he judged he was too old. After all, Sir Menzies Campbell blamed constant reference to his 66 years for his decision to quit. But the party's deputy leader, treasury spokesman and now acting leader has proved unexpectedly adept at the job. Instead this week he brought the House down, with his quip about the "prime minister's remarkable transformation in the last few weeks from Stalin to Mr Bean, creating chaos out of order rather than order out of chaos". The seemingly overnight transformation of John Vincent Cable's public image has been a fairly long time coming. He has been Lib Dem MP for Twickenham in West London since 1997. 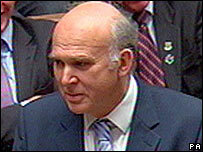 But he has been a member of three parties: Labour, the SDP and the Liberal Democrats. He first stood for Parliament in 1970 for Labour, but spent most of his pre-97 years in business and economics . He was chief economist for Shell International, and also had international experience advising the United Nations and the Commonwealth. His Parliamentary arrival was a boon for a party which needed to bring some more authority and experience to the frontbench. Within two years he was made trade spokesman and he gained the treasury portfolio in 2003. He has the advantage that when it comes to the economy he sounds as if he knows what he is talking about. He has been warning about the dangers of cheap credit and personal debt for years. Despite all that experience and a penchant for ballroom dancing, he still came across as, well, an economist. He seemed a bit dull. It is unlikely that he would have got the necessary support to run for the leadership, let alone actually win it. But during his few weeks in the job he has managed that tricky third party leader's task of getting himself noticed and heard. It began with his probing of the government over its handling of the Northern Rock collapse. In the Commons he asked: "Can the prime minister confirm that the Government have now lent £24 billion of taxpayers' money to that small mortgage bank? Twice the amount of public expenditure on primary schools every year, and four times the aid budget?" He refused to meet the Saudi King during his state visit in protest at the country's human rights record. 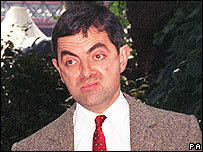 And, of course, he hit the bullseye, and managed to diminish the prime minister's stature, with his "Brown Bean" moment. His success will not come as a surprise to everyone. The pollster Frank Luntz found that a focus group for BBC Newsnight rated him as the most impressive Lib Dem performer. Olly Grender, the party's former director of communications, says he is doing superbly but there is less at stake. "If you're an acting leader, you can afford to take risks. Perhaps every leader should think of themselves as being temporary." Even his Parliamentary aide Tim Farron, who expected him to do well, admitted he was "surprised he's scored so many hits in the media". Despite the success and a small lift in the polls, it is too late for Vince Cable to change his mind and enter the race, even if he wanted to. And anyway, MPs may be impressed by his handling of the interregnum but have no apparent desire to see him remain on the throne. Even so, Mr Farron believes his boss is enjoying the experience and the party will benefit: "After the election, he will revert to being deputy having seriously enhanced his profile. His strengths have been recognised." The new leader is expected to be announced on 18 December. Whether it is Chris Huhne or Nick Clegg, they might find there are bigger shoes to fill than expected.